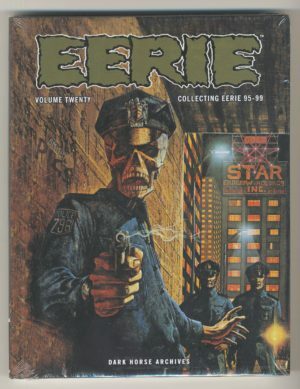 EERIE ARCHIVES, VOL. 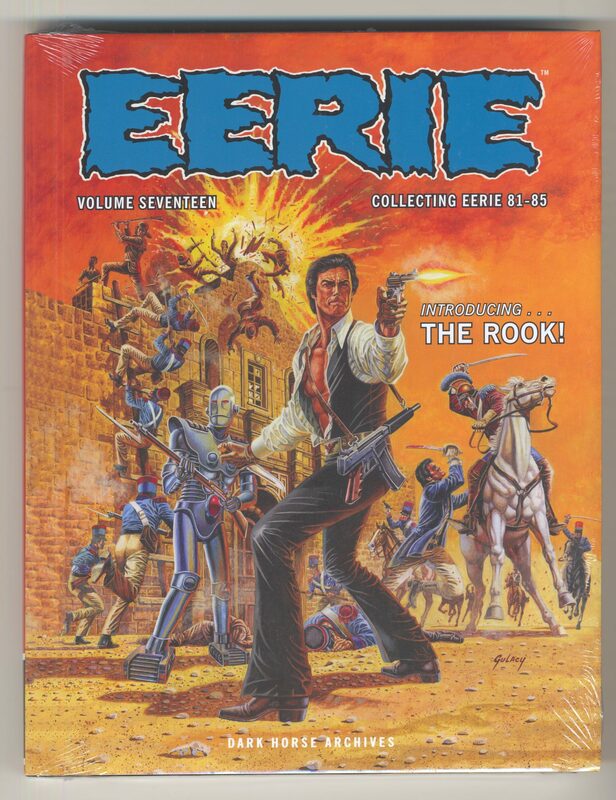 17 [HC] - The Russ Cochran Company, LTD. 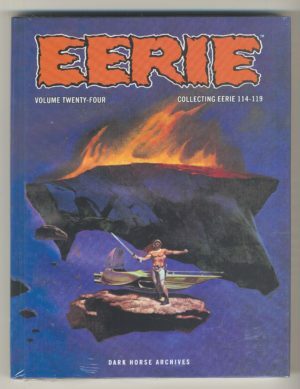 The Eerie anthology of horror, fantasy, and science fiction overflows with a bounty of black-and-white tales, always delivering bizarre twists and ironic punches! 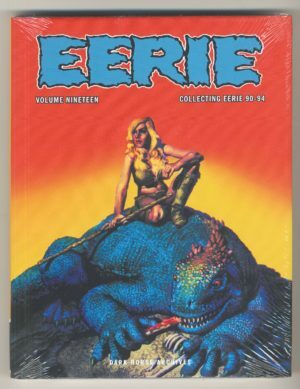 The Eerie anthology of horror, fantasy, and science fiction overflows with a bounty of black-and-white tales, always delivering bizarre twists and ironic punches! 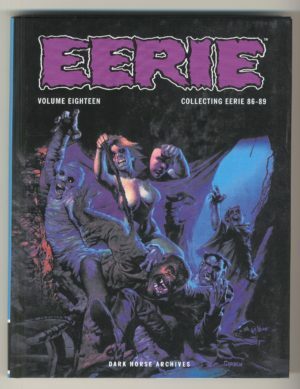 The latest volume in this award-winning hardcover series features early pieces starring Jim Starlin’s Darklon the Mystic, gorgeous color covers by Frank Frazetta, and plenty of standalone scares! Collects Eeriemagazine #81–#85. Featuring seven story interpretations inspired by an iconic Frazetta cover!